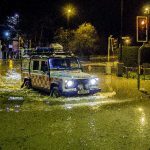 Incident Details: As details of the enormity of the evacuation task in York became apparent, a second team of Swiftwater Technicians from Keswick and Cockermouth were despatched to assist the first team which was attended direct from the previous flood incident in Lancashire. The two Teams were tasked with checking houses, and evacuating residents on rescue sleds or boats along one of the main roads into the city in water which was, in places, chest high. 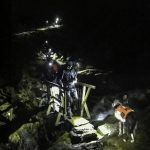 There were a large number of rescue teams involved in rescuing members of the public in this incident, as well as Fire and Rescue and Army personnel. Both teams returned having spent 17 hours away from base. 7 Team members – 17 hours.